Yadav spent about $800,000 of his own money and sold some family property to make his dream come true. When a commercial pilot in India announced in 2009 that he would build a plane on top of the roof of his home, most people thought he was joking because he had no aeronautical engineering experience. But nine years later, Amol Yadav, 42, from Mumbai not only fulfilled his dream of constructing the plane on top of his home, he also signed a 35,000 rupee-crore ($5.4bn) agreement with the Maharashtra state government to set up the country's first aircraft manufacturing factory. Yadav, who works as a senior commander with Jet Airways and flies twin-engine turboprop planes, said it was his longtime dream to build aircraft. "In 1998, I bought a six-cylinder petrol engine belonging to a truck for $160 and started building my first aircraft," Yadav said. "I abandoned the project after making a lot of mistakes in it." But he didn't give up. The next year, he decided to build a new plane but needed a new engine. Despite the fact his family's construction business was running a significant loss that year, they decided to fund his "dream" project. His mother used her Mangala Sutra necklace as collateral for a loan from a local jeweller. Amol built a workshop and spent four years constructing a six-seat aircraft. Unlike his previous attempt, the plane was operational. 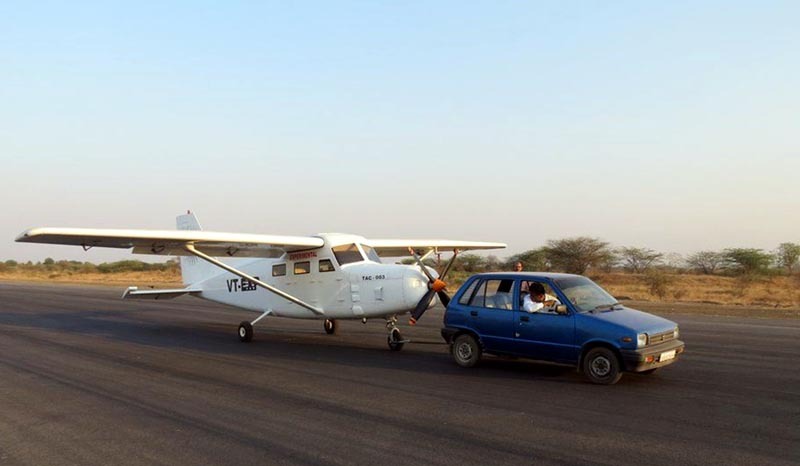 "I tested the aircraft successfully on a road but it was denied registration by the government," he said. A few years later, Amol landed the job at Jet Airways. He began flying planes but his dream of building India's first indigenous aircraft still weighed heavily on his mind. 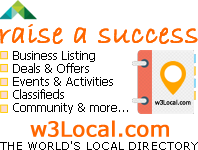 "Our construction business was doing well. Amol had a decent job, so it made him think why shouldn't I give it another try," said his brother Rashmikant Yadav. In 2009, Amol started working on his third plane. This time, he announced he would build it on the roof of the five-storey building where he lived with his family of 19. After his shift as a pilot ended, Amol would rush upstairs and get started on constructing the plane. He laboured for seven years with a small crew and in February 2016, his six-seat propeller aircraft was ready to fly. "I spent about $800,000 of my own money and sold some family property to make this dream come true," he said. Yadav wanted to show off his aircraft to people during the "Make In India" campaign, which was launched by the government in 2014 to encourage companies to manufacture their products in India. An exhibition was being held in Mumbai in 2016. "I sought permission from the organisers but they told me there was no space available. It was frustrating," Yadav said. Despite no permission to display the aircraft during the exhibition, the Yadavs disassembled the plane overnight and brought it down part-by-part using a crane. "We then assembled the aircraft again and took it to the exhibition ground," Yadav said. At the gate, security guards didn't pay much attention to them and they entered the exhibition grounds with the plane. "The next morning, officials found out we had no permission to display the aircraft and detained me. But they couldn't remove the plane as it had by then made headlines in the local media," said Rashmikant. "The aircraft was the centre of attraction." The plane has an engine powerful enough to climb up to 4,000 metres and its tank can hold enough fuel to fly a distance of nearly 2,500km. In 2017, the Directorate General of Civil Aviation registered Yadav's aircraft. The plane is currently at Mumbai's airport, but hasn't received permission to fly yet. "The plane has been successfully tested and will get the official nod to fly within two months," Yadav said. India currently has the fourth largest aviation market in the world in terms of passengers - only behind the United States, China and Japan. Despite an aviation boom in India, airlines in the country operate planes built by foreign aircraft makers such as Boeing, Airbus, ATR and Embraer. India's state-run company Hindustan Aeronautics Ltd (HAL) is able to manufacture planes, but is limited to military technology only and not for civil aviation. The development of homegrown civilian aircraft has been pursued by India's aeronautics community with little success for more than two decades. In the 1990s, India started a joint 14-seat aircraft programme known as Saras with Russia. However, after the fall of Soviet Union, National Aerospace Laboratories (NAL) took the programme on its own as the Russian state agency for civilian planes, Myasischev Design Bureau, backed out citing financial strains. On May 29, 2004, its first prototype made its maiden flight in Bengaluru but the aircraft was overweight at 5,118kg compared with the 4,125kg design specifications. The programme came crashing down, literally. On March 6, 2009, the second Saras prototype crashed during a test flight on Bengaluru's outskirts, killing two Indian Air Force pilots and a flight test engineer. An investigation by the Directorate General of Civil Aviation blamed NAL for faulty programme management. Since then, the project has been in limbo. However, an upgraded version of the first prototype took to the skies for about 40 minutes this January, rekindling hope for a revival of the country's civil aircraft programme. On February 20, Yadav's Thrust Aircraft Company signed a memorandum of understanding with Maharashtra's government to set up an aeroplane manufacturing factory. The manufacturing unit will be spread over an area of 64 hectares in Palghar, 140km north of Mumbai. The project is expected to generate at least 10,000 jobs in a country where the number of jobless, according to a report by International Labour Organization (ILO) in January 2017, is expected to increase to 18.6 million in 2018 and 18.9 million in 2019, up from 18.3 million in 2017. "The project will not only boost the economy of the state but will also generate at least 10,000 jobs," Yadav said. Under the agreement, Yadav is to build a 19-seat aircraft within six months and simultaneously work on setting up the factory, which according to him, would have the capacity to build at least 100 aircraft annually. "We have over 400 British-era airports which are non-functional at present. We are designing 19-seater aircraft to connect these airports," he said. The ruling Bharatiya Janata Party (BJP) in Maharastra is fully behind the effort. "Our government supports efforts aiming to develop our own technology, our own innovation under the Make in India programme," BJP spokesman Madhav Bhandari said. Dhiraj Mathur, a defence and aerospace consultant at PwC, praised the government's support for the programme. "Maharastra government supporting the startup that will manufacture aircraft is a welcome move. It will contribute to Make in India," Mathur told Al Jazeera. Mark D Martin, founder and chief executive officer of aviation think-tank Martin Consulting LLC, questioned the viability of the plan. "The problem is we don't have the ecosystem to support manufacturing in India. We don't have raw materials. Every single thing for civilian aerospace is imported. Bombardier, Boeing, for years, have been trying to find solutions to develop aircraft in India," he told Al Jazeera. "This whole thing seems to me a political gimmick. Even before the aircraft can fly, the government has already signed a 35,000 rupee-crore deal ($5.4bn) and allocated land for it. It looks to me like a far-fetched dream." Martin said it was the first time in India's history that an individual, Yadav, was given such a huge sum for a largely unproven business concept. "Do you really think someone who's made an aircraft on his rooftop can match the quality of Boeing and Bombardier and ATR, who spent billions of dollars for research and safety measures. It's just a gamble," he said. "We don't know anything about his aircraft, its cruising altitude, its range, its speed and the technology he has used." Yadav, however, is far more optimistic about his aeroplane-building business. "I have given 20 years of my life working on my dream project. I'm delighted that I have been given this responsibility by the government, and I don't find anything that makes me feel that this project wouldn't be a success," he said. Guess What's Dirtier Than A Toilet Seat? 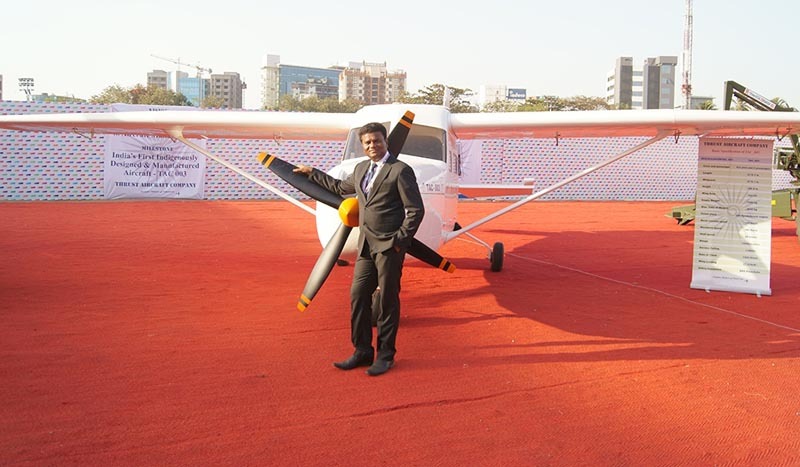 Diverse News: Can a homemade plane revolutionise manufacturing in India?